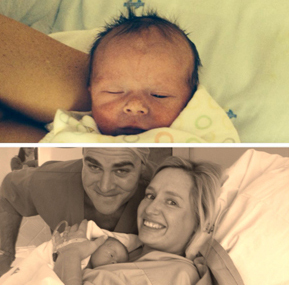 Welcome Matthew Richard Anderson and Zoe Tate! Introduction: Let's Skip the Intros and just get into the Meat of Things: this is my attempt at continuing the family legacy, specifically the Schilling, Simpson and Osterloh families. As typical, it's been a while since I posted on the Family Tree. There has been some good and bad with regards to the tree the past few years. Unfortunately, the family lost a truly magnanimous person when Gordon "The Big O" Osterloh passed away this last December. I have very fond memories of Uncle Gordon since I was a little boy - I even remember when he gave me a pair of boxing gloves when I was 4 or 5 years old. Boxing gloves are a good representation of Gordon - he was tough as nails, but lived by a creed that would make one jealous; he was a true inspiration to the anti-Apartheid struggles, and was a gentlemen in every sense of the way. His children, Monica and family delivered such a heartfelt funeral service there wasn't a dry eye in the room. Gordon, you will be missed, but never forgotten. The good thing is Gordon left one daughter and four gentlemen, like himself, who will carry the Osterloh torch into the future. On a brighter side, I would like to welcome four new additions the Simpson Family Tree; in fact, they carry with them two new family Surnames as both Carla and Andrea Schilling were married in the past two years. Welcome, Grant Tate and Richie Anderson to this amazing family. And Grant and Richie didn’t waste any time bringing the first grand children to the Schilling side of the family. Zoë Tate and Matthew Richard Anderson were welcomed to the world in 2014 and I for one can't wait to meet them. Congratulations. Granny Natalie - Granny was truly the family matriarch who touched so many lives for so long a time. Whenever my family flew back to South Africa, everything always seemed to revolve around this very special person. We all learned so very much from her and not enough adjectives can be used to describe how great a person she really was. I tried to compose something for her funeral, but no one page can truly describe the gifts she imparted on all who knew her. Gaga - Gaga and Das would travel to the United States yearly to visit my family. This enabled my brothers and I to really get a chance to know and experience my heritage first hand through my father's side of the family. While those days are now only memories, they will never leave us. Gaga's health slowly declined after Das passed, so in some respects I feel she is now in a better place, once again feeling healthy in mind and spirit. Once again it's time for a long overdue update on the Simpson, Schilling and Osterloh family tree. As a reminder, the current site only lists my direct relatives, most of which live in South Africa, however in the future (when I have time) I will see if I can extend the tree to the vast places on Earth I know we have relations (England, Australia, New Zealand, France, Germany, Switzerland, etc).. Speaking of South Africa, my mom, two brothers and myself visited our homeland last Sept./Oct.. The main reason for the visit was my Granny Natalie Schilling's 90th Birthday Party, but we also had the pleasure to visit my other granny, Olive (Gaga) Simpson, Mike Simpson and family in Cape Town, as well as my Mom's twin sister Monica Osterloh and brother Richard Schilling and families. I will try post images of our trip for all to share when time permits, although I've added a shot of my Granny's 90th to the site for now. On a sad note, June Houghton (nee Simpson), my Grandpa Das's only sibling passed away last year. She fell ill on a cruise ship through the Mediterranean, and passed away near Malta during the trip. I can't think of a better way to pass, but want to pass on my condolences to all her living relatives, most of which live in Das's birth county of England. Finally, I will try set up a blog for the Simpson Family Tree Site, where others can contribute concerning the tree. Will work on this in 09' so all can share. I wanted to pass along my respect to everyone that new Mary Young (nee Simpson), who passed away on the 28th of Decemeber, 2007 at the ripe old age of 104. Mary was my father Graham's Great Aunt. She wrote a fascinating book about the Simpson and Young Families several years ago named, "Come With Me" (Sunbird Publications, 1996). If you're interested in the book, I've scanned an image of it here: Come With Me. Here's a video at age 104 of Mary. Well, four years later and this time the Springboks prove triumphant in their quest for a second World Cup victory. Nicely done against England, South Africa has done it again. Go BOKS!!!!! Once again, a long overdue upate to the simpson family tree website. A friend and I recently went to Europe for a trip, where we happened to visit Scotland. We went to the Royal Infirmary where they renamed the gyne ward: The Simpson Centre for Reproductive Health. There is a potrait of him (see pics) in the ward and a statue that one of the mid wives showed me while very giddy (to meet a distant relative!) We then proceeded to visit the original buildings where Sir James practiced. The original is unfortunately about to be demolished, but the second ward where he practiced is still open and funny enough is now a Best Western Hotel. There is an area dedicated to Sir James in the hotel, including 'Simpson's Bar.' This is now the second bar dedicated to the Simpsons, since my Grandpa Das is commemorated at the Inada Club in South Africa with his own 'Simpson's Bar.' Unfortunately, we didn't make it to the graveyard where I hear there is a statue of him--Perhaps next time in Edinburgh. The photo gallery of Sir James is located towards the bottom. Just a quick update to the site informing everyone with the status of the Simpson and Schilling Family tree. While there are no new additions to the tree, I am happy to see there has been no need to fill out any DD's on the site since everyone is alive and well. 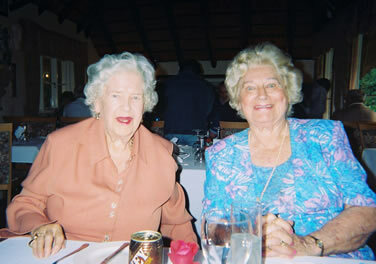 Also wanted to update a shot of my two favorite Grannies who are doing very well in Johannesburg. All my love to the two of you. 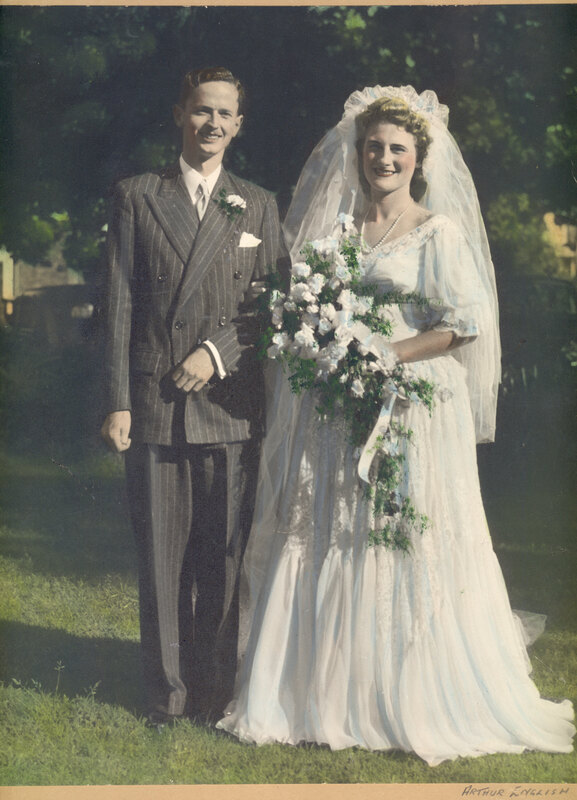 Sadly, it has come to my attention today that my Godmother Annemarie Schilling's partner, Erwin Emil Stahel, passed away on the 31st of August, 2005. Erwin was a renowned accordion player in Switzerland. To here a clip of one of Erwin's most famous Songs, Fitness, Click Here. 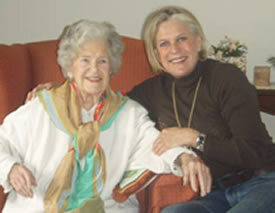 All my love and sincere regards to Annemarie for her loss--I take solace knowing Erwin is smiling at her from Heaven. Happy New Year to all. Wanted to let all the relatives know we now have a place to stay in Cabos San Lucas. My dad partnered with a friend and now owns the Cabo San Lucas Inn. Also, check out Tortuga Del Sol if you're interested in owning land in Cabo. It is really starting to boom down there-just ask Ryan who now lives near Todos Santos. On another note, I wanted to post a little information I discovered from the Simpson Side. I was told we are descendants of Clan Fraser, and have scanned an interesting segment from Iain Zaczeks' Clans and Tartans of Scotland. The scan also includes images of the Tartans of Clan Fraser. Lastly, I wanted to pay tribute to dear old Myth, daughter of Magic, two great Golden Retrievers we had over the years. Just returned from a trip abroad where I visited South Africa, London and Switzerland. I'll begin posting images here of my trip. Update: Not much new on this front. Have been working on the Zone Cafe project with a good team, including my Dad, Graham, in an attempt to bring Dr. Sears insulin controlled eating regimen to the masses through a quick, affordable, and casual restaurant. I am also preparing to fly back to good old South Africa to visit the family next month, which will luckily include four birthday parties, including my Grandma Natalie and Uncles' Gordon and Richard (who I just saw in San Juan Capistrano w/ the Scalzo Family). Please don't hesitate to email me any info concerning the Simpson Schilling and Osterloh Families at justin@hikanoo.com. Well, it's been a while since I made a post, so I decided for what better way then to wish the South African Springboks good luck in this years Quarterfinal Match against the dreaded All Blacks on Saturday. I have also posted some pictures I found on the web which I thought personified South Africa's fighting spirit. "If you follow these the noble objects of your profession in a proper spirit of love and kindness to your race, the pure light of benevolence will shed around the path of your toils and labours a brightness and beauty, that will faithfully cheer you onwards, and keep your steps from being weary in well doing  while, if you practice the art that you profess with a cold-hearted view to its results merely as a matter of lucre and trade, your course will be as dark and miserable as that low and groveling love that dictates it." Here's a cool link on the orign of the simpson family name, although I'm not sure how accurate it is. Best Wishes and Happy Birthday to one of my best friends, Scott McCain. In lieu of his 28th birthday, I set up a page on our site to showcase some of Scott McCain's Collective Works (he's a writer!). Ryan Simpson turns 30 today......Happy 30th Bro! 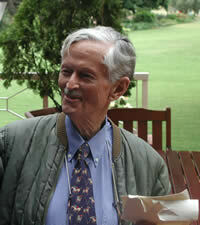 I want to pay tribute to dear old Grandpa Das who passed away earlier this month. Look for me to set-up additional photos of him in the weeks to come. I also wrote A Tribute to Das, which was read by Mike Simpson at his Eulogy. BTW, I got around to registering a new domain name for the family tree - www.trade-research.com just didn't cut it. As you can see, the new domain is: www.simpsonfamilytree.com. FYI, when I tried to register this domain earlier this year, it was taken, so when I found it available, I jumped all over it. Never a bad idea to double check whether your domain may be available??? Hi, this is Justin Simpson outreaching to all my fellow relatives around the world. I decided on my 27th Birthday, which was yesterday the 28th of February, 2002, to begin a family tree. Right now, it's just a work in progress, and I have only listed the immediate family whose full names I know. If you would like to update information about you, or any significant other, please email the information (ie. Birthdates/places, Occupations, Addresses, Emails, etc.). Hopefully, this can be something that we can all share for years to come. .